Description: Shell with spire depressed, width equal to height. Sculptured with numerous weak, spiral grooves, often obscured by erosion. Columellar deck smooth or with weak irregular lirae; columella concave, with 2-4 elongate denticles at the centre. Outer lip smooth or finely lirate, sometimes with a large nodule posteriorly. Exterior usually dull, uniformly black, columellar deck white. 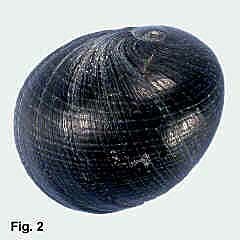 Operculum calcareous, tan, finely pustulose. Size: Up to 31 mm in height, commonly about 20 mm. Distribution: Australia, North Island of New Zealand, and Kermadec Islands. In Australia, from Yeppoon, Queensland, around southern Australia to North West Cape, WA, including Tasmania; also isolated records from Dampier Archipelago, and records that need confirmation from Broome. Habitat: This nerite is one of the most abundant animals on exposed and semi-exposed rocky shores in NSW, living on rocky surfaces and in crevices from the high-tide level down to below mid-tide level. It also occurs among mangroves in the more exposed parts of estuaries. Abundant. Remarks: Sexes are separate and fertilisation is internal. Eggs are deposited by the female in capsules on the substrate; larvae hatch from the eggs and enter the plankton, from which they eventually settle out as juveniles. Anderson (1962) observed that at Bradleys Head, in Sydney Harbour, egg capsules were produced in August, attached to the undersurface of stones in rock pools and to shells of other molluscs. Capsules continued to be laid throughout spring and early summer. The capsules were white, flattened, elliptical domes, about 2 mm long and 1.4 mm wide, filled with colourless jelly and containing 20-40 eggs. Eggs developed into veliger larvae within the capsule, and escaped into the sea after about 14 days. Underwood (1974) found the spawning season at Cape Banks in Botany Bay was shorter, from November to January. Underwood (1975) studied the growth of this species at Cape Banks in Botany Bay. After settlement of the larvae from the plankton they grew to reach adult size of about 16 mm in two years, with most individuals dying during the third year, although a few lived for 5 years. Mortality was low during the first two years, showing a lack of predation in that stage of life; most individuals died of old age. The animals reached reproductive stage at 20 months, at a size of 13.5 mm. These animals feed on the thin film of microalgae on what appears to the naked eye to be bare rock surfaces. 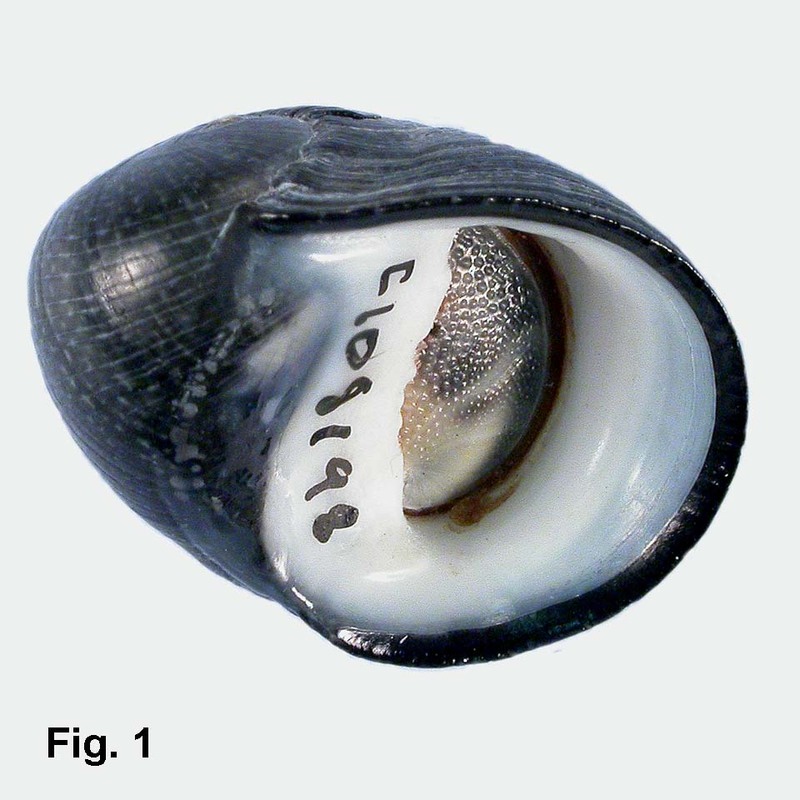 They compete for this food resource with other molluscs, particularly limpets such as Cellana tramoserica, and the periwinkle Bembicium nanum. If the molluscs are present in large numbers, or the microalgae in short supply, growth will slow and in the extreme, some animals will starve. Underwood (1978) showed that in competition for food with Cellana tramoserica, the Nerita were initially able to out-compete the Cellana, but if food shortage continued, all the Nerita died before the Cellana. But in the case of large recruitment of juvenile Nerita into an area where adults of the species were already living, a shortage of microalgae resulted in adults dying and juveniles not increasing in size.